You can explore the world, or, you can explore the world by horseback. The choice is yours, but it’s easy to argue that touring the world’s most scenic landscapes may just be even more incredible when experienced from the same vantage point as our ancestors. For many, it’s a simplistic and relaxing way to reconnect with nature and even allows for the navigation of terrains that might otherwise be inaccessible. 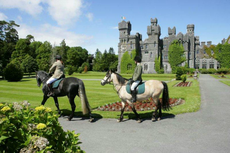 Of course, horseback riding is available in many locations all over the world, but the following destinations offer truly unique riding experiences that no traveler (whether an equestrian-lover or not) should miss out on. Outfitters at E-Trip Africa offer a myriad of safari packages, but perhaps one of the most unique, exhilarating and scenic is a six-day, five-night horseback ride from Arusha to Lake Amboseli. The route takes riders through the Amboseli Ecosystem near the slopes of Mount Kilimanjaro, offering up-close views of wildlife including elephants, buffalo, zebra, wildebeest and more. For less experienced riders, shorter trips (i.e. half-day) are also available. Tropical destinations like the Bahamas commonly conjure images of beach lounging and fruity cocktails, but often there’s no better way to witness the beauty of the Caribbean than by horseback. The Windsor Equestrian Centre (or Happy Trails Stable, as it's known locally) of Nassau Paradise Island invites guests to ride through the center’s wooded grounds and out to the unspoiled white sand beaches where riders can enjoy a relaxing morning ride beside the island’s pristine turquoise waters. 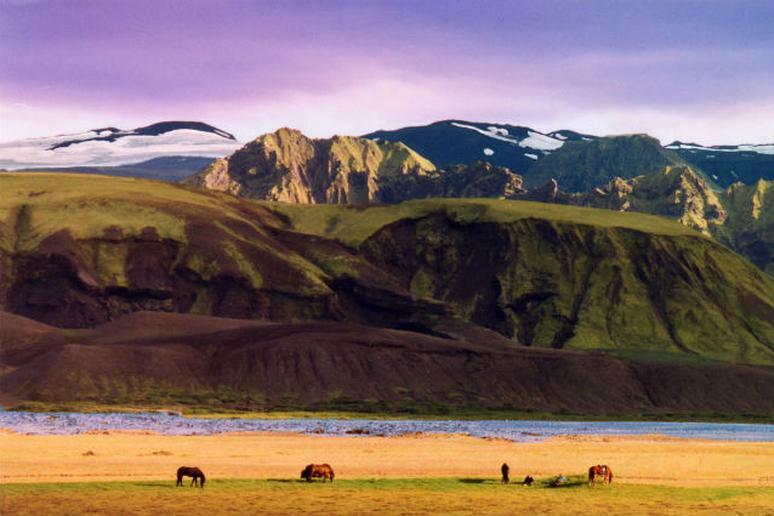 Click here to see more of the world's most scenic horseback riding destinations.